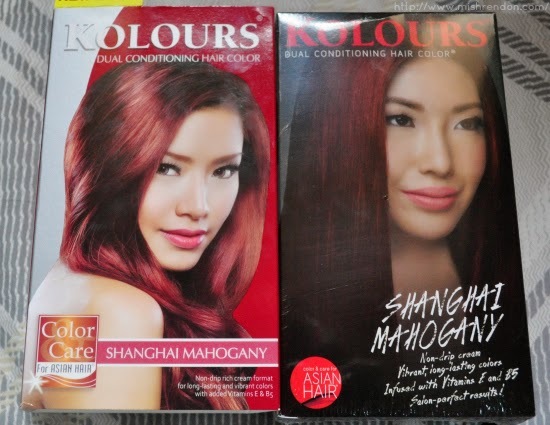 As promised, here's a new hair color review for you guys! :) The product I used today's not from Revlon which I have constantly reviewed on my blog, but from Splash, a local company. 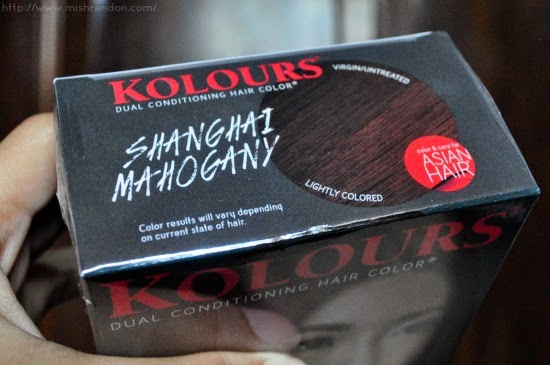 By the way, it's only the second time that I have used Kolours since I wasn't satisfied the first time I tried it. The shift was mainly because I was looking for a nice and vibrant red shade and Revlon only has one shade of red available (Revlon Luminista in Red). Vibrant, long lasting colors. Salon perfect results. 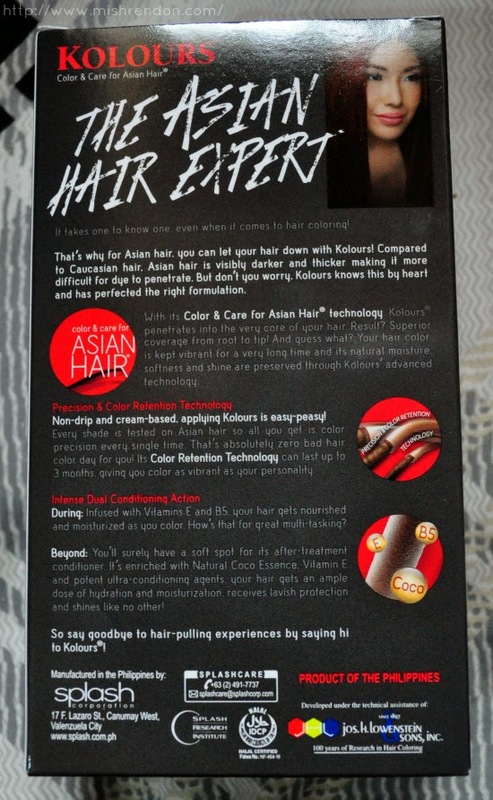 What sets Kolours apart from other hair coloring products available in the market is that their products are specifically made for Asian hair which is visibly darker and thicker. With its right formulation, it ensures to penetrate the hair for a perfect coverage from root to tip. It is also proudly Philippine-made. Each box contains a creme colorant tube, color developer, two sachets of after-treatment conditioner, a pair of plastic hand gloves, and instruction leaflet. Just be sure to use an old shirt so that you won't need to worry about staining it in the process. By the way, I used this product to lighten my roots and to add color to the rest of my hair. I regularly dye my hair at least every 3 to 4 months. I used it on top of Revlon Colorsilk in Light Reddish Brown which I have previously reviewed here on my blog. The product was easy to use. 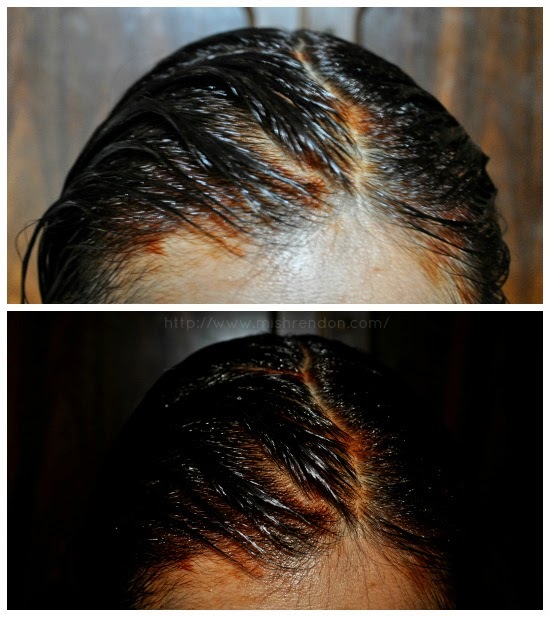 You just mix the creme colorant and color developer and apply it generously on your hair. 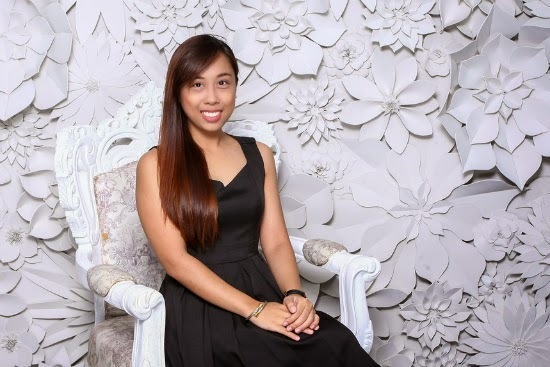 Since I was doing a retouch, I applied the product first to my roots for at least 20 minutes before putting the remaining mixture to the rest of my hair. I left it there for probably at least another 30 minutes. 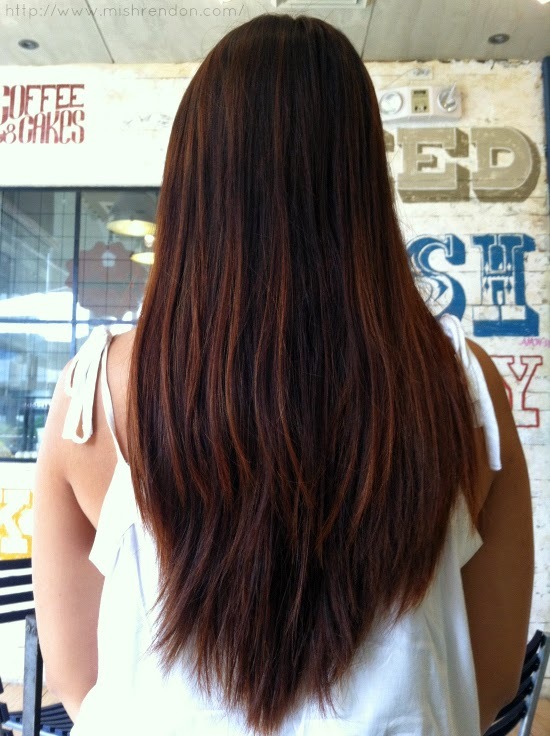 However if you are dyeing your hair for the first time, do not start with your roots as they lighten the fastest. My usual coloring time is 1 hour. Most hair dye instructions usually recommend 20 to 30 minutes only. But since my hair is very resilient, I tend to extend the time until I get the desired results. By the way, the product did not stain my skin despite not having applied lotion or petroleum jelly. This product is very affordable. It only costs for less than P300 per box at Watsons. 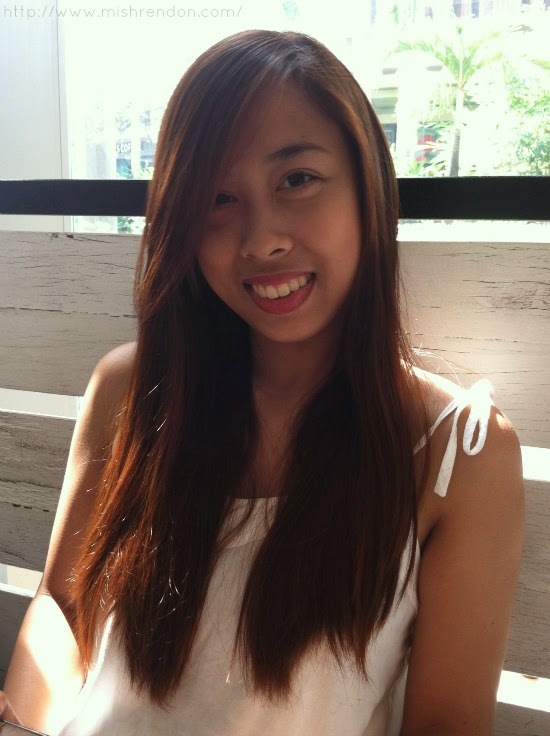 Initially, I was happy that it was able to give my hair a reddish hint. It was enough for my long hair. However if you have thick and long hair, I suggest you get two boxes. I also love that there are two packs of after-treatment conditioner included. The formulation is indeed non-drip which I find easier to apply. With that, however, you have to make sure that it coats every strand of your hair by combing it and rubbing it in. 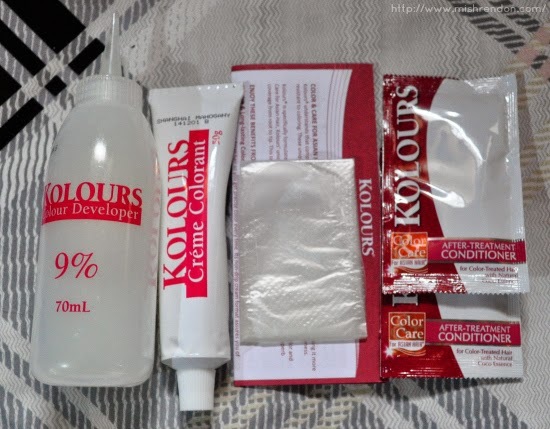 Kolours has tons of different hair color available. However, I find that most of their brown and red shades give almost the same result. But then, I might have to try the other shades available to prove this wrong. I've regularly dyed my hair for years now and it's the first time that my hair felt extremely dry. Conditioner does not really work anymore with my hair's condition as it gets tangled easily especially the lower part of my hair. My hair looks more uneven. But it could probably because I have dyed my hair with several shades of brown and red since last year or because of how applied the dye. My hair didn't turn red. Instead it was a medium brown shade with red undertones. I didn't even see the Mahogany Brown in there. The red eventually turned into orange a few days after. 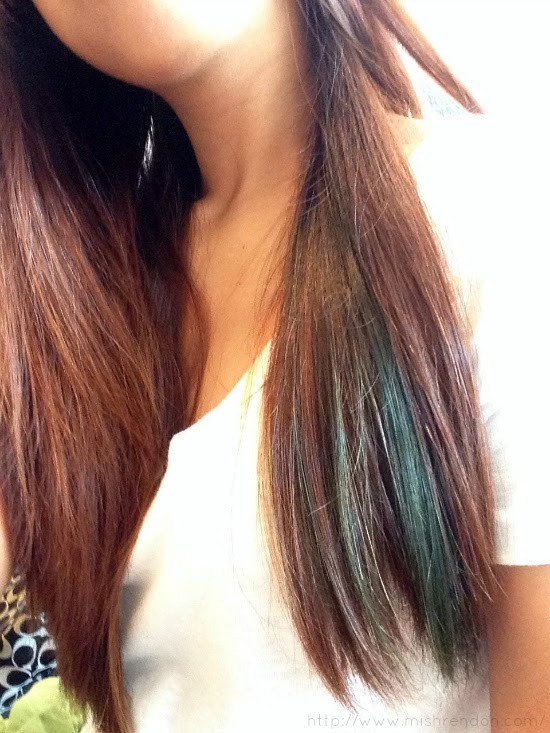 Here's how my hair looked like after. It wasn't really the shade that I was aiming for since I wanted more red than brown or orange. 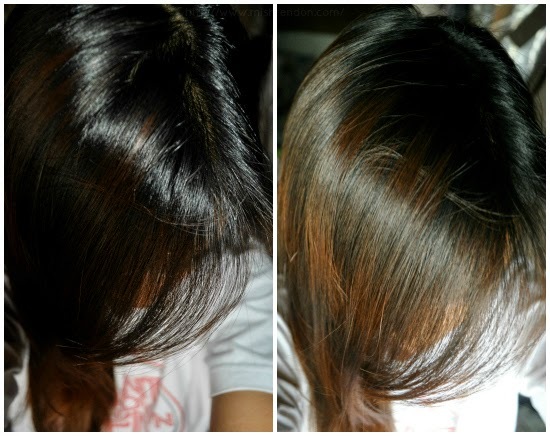 Nevertheless, I was quite satisfied with how it lightened my roots. 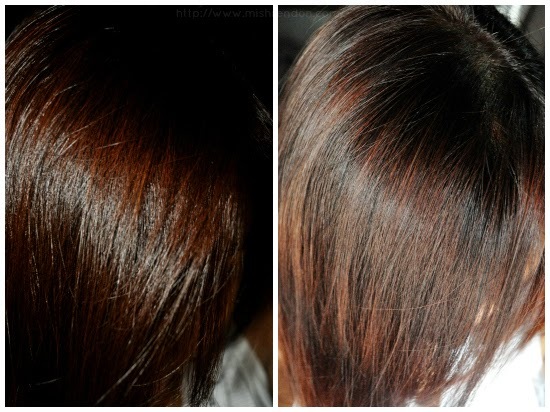 Definitely, I am still looking for a drugstore hair color that could give a more even coverage. But I might have to rest my hair first for a few months.